CorkSport's LED light kit replaces the incandescent bulbs for the dome light, vanity visor lights, map light, door lights, license plate, and trunk light on your 2014+ Mazda6. The lights are simple to install, with no custom adapters or wiring required. Blue-White Color 7000k color temperature that enhances interior colors compared with the yellowish light emitted by incandescent bulbs. 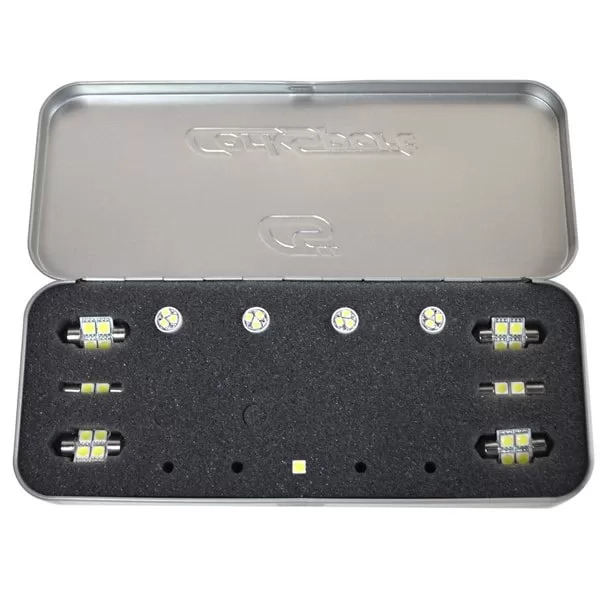 CorkSport Support and Service: The kit includes 12 LED bulbs and includes vehicle specific installation instructions. Installation of the LED lights takes 30 minutes and requires only two small screw drivers. The interior has a whole different feel now that I have installed the LED's. I highly recommend getting this kit if you want to have a higher-level trim feel in your Mazda 6. The install was rather straightforward and definitely worth the 45 minutes. I made a little install video to help out buyers and potential buyers. Installed all LED lights provided and substantially increased the brightness and class of the interior and now you can actually see anything in the boot ! You really wonder why Mazda skimps on these things in the first place. Excellent LED's and worth the money. I have a 2016 6 GT and wanted to replace all incandescent bulbs with the LED upgrade for the modern look. I used all but the four bulbs for the two sets of dome lights since 2016 GT's came from the factory with LED bulbs already installed. So I changed out the vanity mirrors, glove box, door courtesy lamps, trunk and license plates. 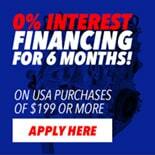 Nice upgrade at a nice price offered by Corksport. Thank you! I was about to go measure and figure what bulbs I needed to switch everything to LED, and here is the kit! Definitely recommending at the mazda meet ups. Will this work with the 2016 Touring? Just bought these and I must say, great quality. There are much cheaper kits out there, but make no mistake, the quality will not be as good. I went cheap on a kit for my WRX and the lights are not even that bright. These lights are much better and worth the extra money. Don't skimp, get these, you will be very satisfied! These are excellent! Gives the car a more modern feel. Great look makes it look more classy. Wheres the glovebox light tho? I put mine on and looks great however I saw a 10 piece set for 25 bucks :/. Nevertheless I have a question. What can I use for the White reverse light, I want that LED too! lights are awesome! super easy to install and great instructions. These lights make such a big difference and you will be amazed at how bright they are. thanks corksport! Very happy with my new LED interior lightning. L'installation a été tres facile avec le - how to - fournit par Corksport. Can not wait to purchase this kit, there is only one flaw. Why isn't there plate lights in the kit? CorkSport Reply:License Plate Lights are included with the kit. Will these fit the 2018 Mazda 6?